Different business organizations carry out customer service surveys from time to time. It helps them in finding out the satisfaction level of their existing clients. In this way, a general feedback about particular services can be collected. Improvements can then be made accordingly. 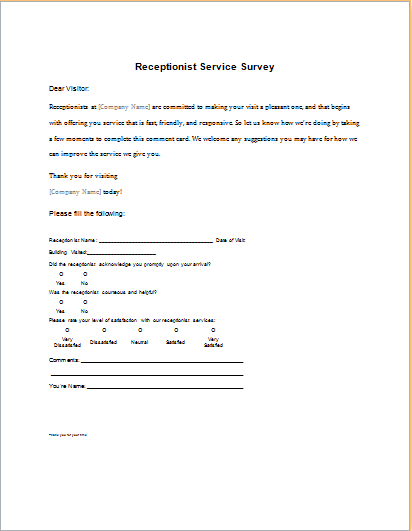 The easiest way to carry out these surveys is through a customer service survey form. 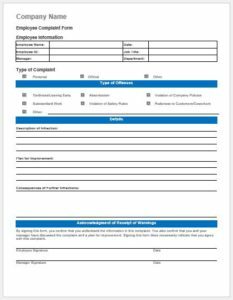 Clients can be asked to fill out the form in order to evaluate the services they purchased. Designing these forms can take a long time. However, using an appropriate template can offer you a pre-formatted layout. 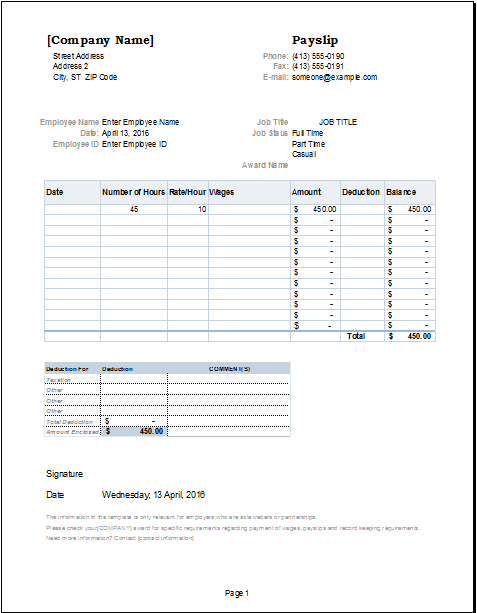 You do not have to create any tables and check boxes from scratch. Simply add the relevant questions. 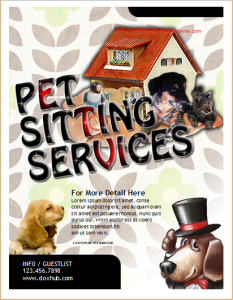 You can make any additional changes to the template as per your requirements. Finally, a customized survey form would be ready in no time. 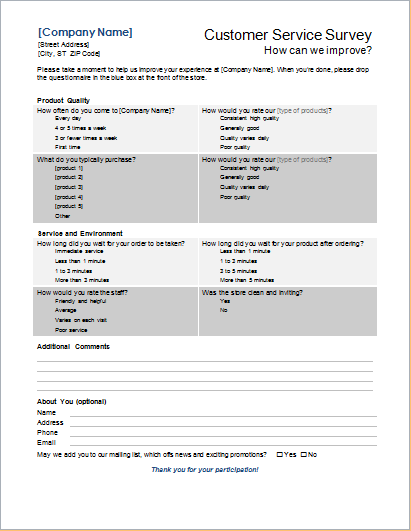 This type of questionnaire enquirers about the overall experience of various clients. 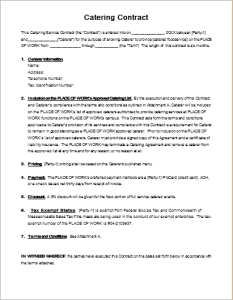 Therefore, the included questions must be relevant to the evaluation of services. It should be a short form. This is because the clients might not have enough time to go through detailed questionnaires. 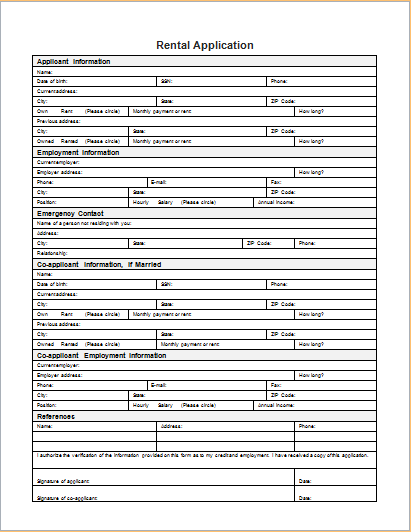 Other than these questions, you can also include a column which can ask for a client’s personal information. This includes gender, age, and contact information. The latter can be used to contact the client for future promotional offers. While the gender and age can be used for evaluation about how different individuals experience your services. In the end, a section can be included where the clients can provide personal comments.